Enjoy Angel Fire and the Moreno Valley like never before. Take in the beautiful views as our chairlift rides take you to the summit of our mountain at 10,677 feet. When you are ready to head back, you have the option of either hiking down or riding the chairlift back to the base area. 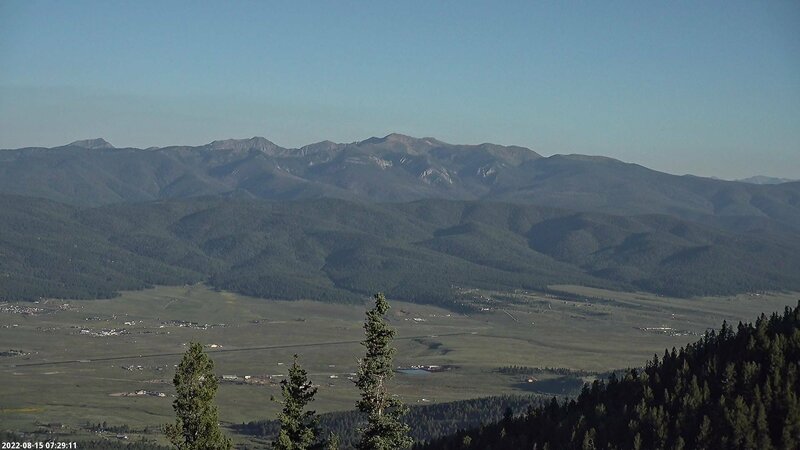 The views on the way down allow you to see the entire valley and, depending on visibility, shows views of Wheeler Peak and Eagle Nest Lake State Park. Pro Tip: Place a to-go order at El Jefe’s or The Lift and enjoy lunch with a view from the Summit Haus. The trail head of the hiking trail is located to the right as you unload from the chairlift. *Must be able to sit on chair without assistance from parent; children are not allowed to sit in laps. Planning to ride lift, do the zip line, or go mountain biking? Save time by signing our waiver online! If you are under the age of 18 and will be coming without your parent or guardian, please be sure to have your parent or guardian complete this release before you arrive at the Ticket Office. Click HERE to access to the waiver. Children must be able to sit on the chair without assistance from parent; children are not allowed to sit in laps.